Sharon Shannon, Frances Black and Mary Coughlan unite for a unique show bringing together their collective talents. The three performers are some of the most successful female artists Ireland has to offer. The 3 are no stranger to performing together having been an integral part of the successful Woman’s Heart albums and tours. Sharon, Frances and Mary perform a set with their own musicians performing many of their greatest hits then everyone comes on stage together to finish the night. 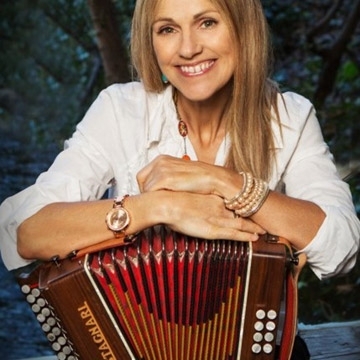 Irish musician Sharon Shannon is best known for her work with the accordion and for her fiddle technique. She also plays the tin whistle and melodeon. Irish singer and a politician. Frances Black came to prominence in the late 1980s when she began to play with her family's band, The Black Family, performing a mix of traditional and contemporary Irish music. Irish jazz and folk singer and actress. Mary Coughlan has received great acclamation in her native country, for her emotional and heartfelt jazzy musical renditions.